A four member delegation of Senate of Pakistan under the leadership of Deputy Chairman Senate Senator Saleem Mandviwalla has reached China. Pakistani delegeation comprises on Senator Abdul Qayom, Senator Liaqat Khan Tarakai and Senator Sassi Palejo. 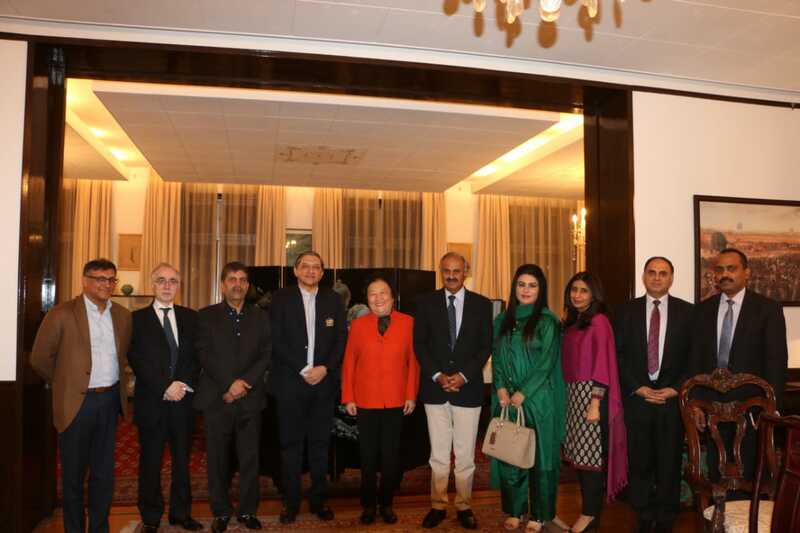 Ambassador to China Mr. Khalid Masood hosted dinner in the honour of Senate delegation. Delegation held meeting with the Chairman Chinese Communist Party (CPCC). Deputy Chairman Senate Saleem Mandviwalla extended invitation to Mr. Yang Wang to visit Pakistan which He has accepted. During the visit Senator Saleem Mandviwalla will address the Launch of Belt and Road Annual Development Report 2018.Senate delegation reaffirmed all political support to China and its government. Senator Saleem Mandviwalla reiterated that Pakistan highly appreciate and support president XI's Belt and Road initiative, and Vision of shared prosperity, and win-win cooperation. He said that it carries an enormous economic and diplomatic potential that will transform the lives of billions of people. Deputy Chairman Senate Saleem Mandviwalla said that since its inception in 2015 the RDI has played a commendable role in policy research on the China Pakistan Economic Corridor as an important platform for bilateral and multilateral forum collaboration. Senator Saleem Mandviwalla said that "I believe that The Belt and Road Annual development report 2018 will help us to understand how B&R initiative established a new cooperation model, boosted various Cooperative mechanism, created many world records of cooperation and promoted integrated regional economic development". Furthermore against the backdrop of changing International situation and new challenges, this initiative provided a Chinese solution for global governance, Senator Saleem Mandviwalla added.